When was the last time you took inventory of your family’s food? Not just an “I’m going to the grocery store, do we have enough eggs?” kind of inventory, but a big, take everything out and catalog it kind of inventory? If you’re like me, then the answer is probably “Way too long ago!” But doing a food inventory doesn’t have to be difficult. 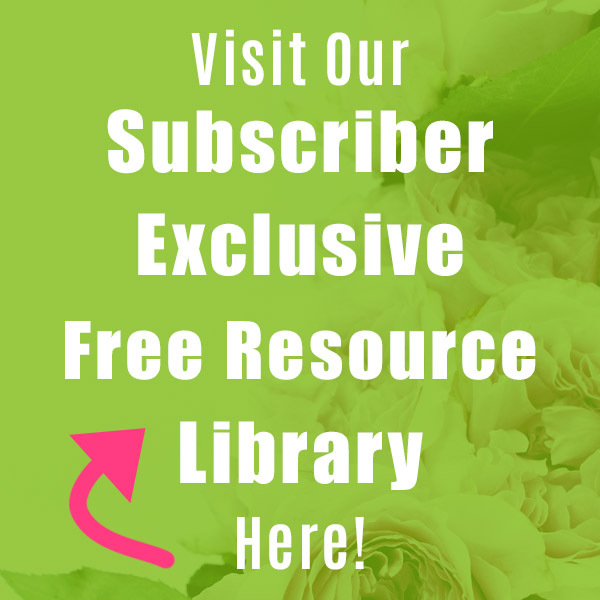 All you need are my handy food inventory printables and tips! Here’s How to Take a Food Inventory of Your Home! I’ve been a fan of food inventories for a long time (even if I don’t remember to do my own inventories often enough)! 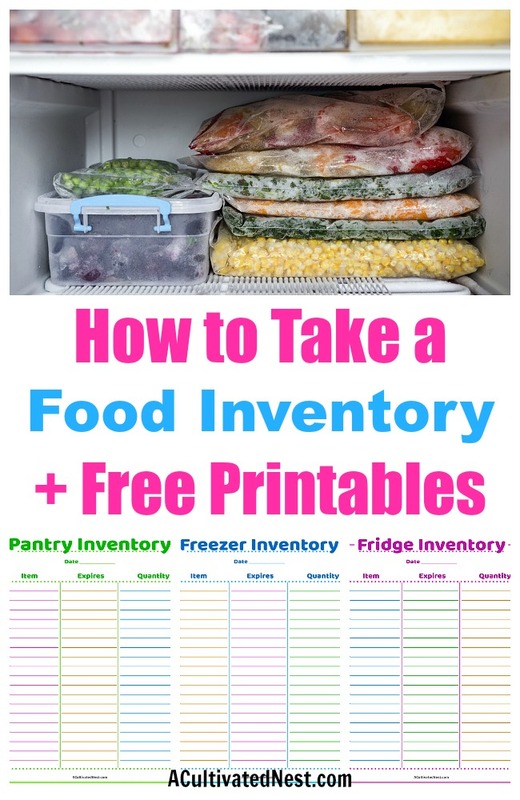 I discussed the benefits of freezer inventories (and shared another freezer inventory printable) in a post a while back. 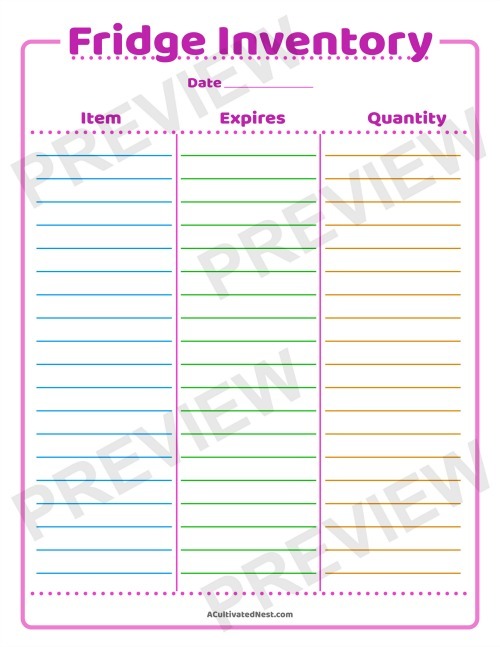 But I’ve learned more about food inventories since then (and improved my printable designing skills! ), so I wanted to share all my knew knowledge with you guys! Taking inventory of your food may not be something you need to do every week like most chores, but you should do it every 4-6 months, or at least once a year, for a couple of reasons. First of all, you need to get rid of expired food. While technically some foods are safe to eat after their expiration date, there are other things (like dairy-based products) that you won’t want to risk it with. Remember, just because something looks fine, smells fine, or even tastes fine doesn’t mean that it’s safe to eat. The second reason you need to do a food inventory check is so that you can keep from wasting food! If you know what you have that’s expiring soon, you can make sure to eat it up before it’s too late. 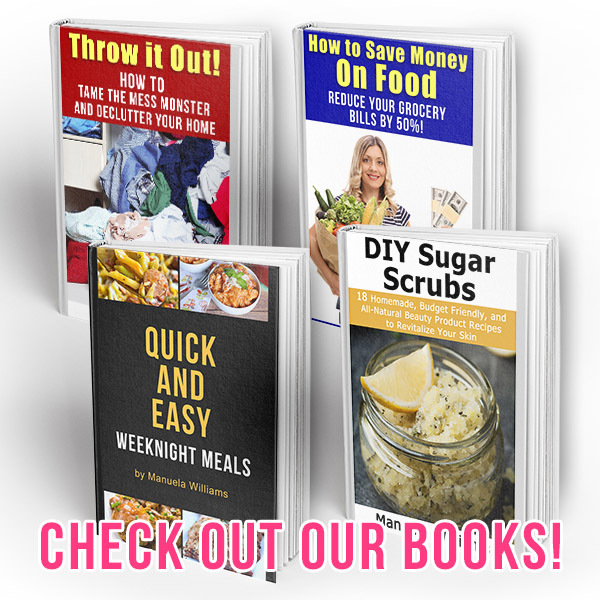 If you like to menu plan, doing a food inventory can help you plan out your weekly meals and keep you from tossing out food (and wasting money!). 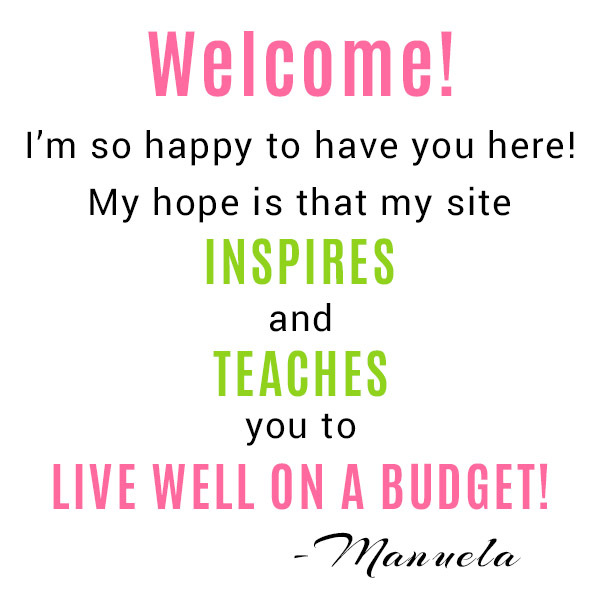 Which brings me to another important reason to do a food inventory- to save money! 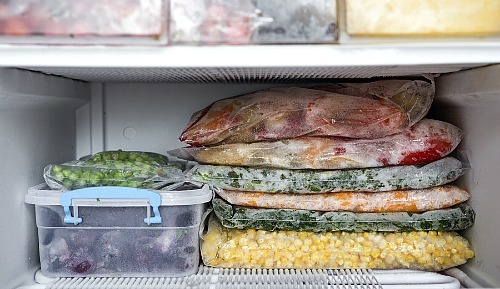 If you don’t know what you have in the deepest parts of your freezer, fridge, and pantry, you’re likely to purchase things you already have (but just don’t remember you have). That’s a waste of money that you could have used elsewhere. Food inventories also help you save money by letting you know what deals you need to keep an eye out for. There’s nothing worse than deciding to pass up a sale because you think you have more than enough of an item, only to come home and find out you’re on your last package! Lastly, food inventories are useful in making sure you’re always ready for an emergency. And an emergency doesn’t have to be something major like a hurricane or snowstorm. Maybe you’ll just be sick one week and be unable to get to the grocery store. If you do a food inventory and replenish your staples and family favorites, you should have enough backups to keep your family fed regardless of what’s keeping you from the store. So obviously, doing a fridge, freezer, and pantry inventory is an important part of home management. It does take some time to go through everything you have, but here are some tips to make this chore faster and more fun! First, get the whole family involved! Any kids that are old enough to read and understand expiration dates can help with finding expired and almost expired food. 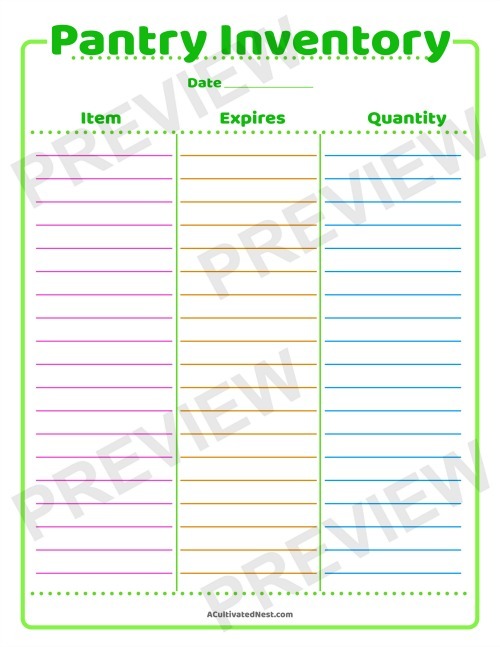 Older kids can be in charge of filling out the food inventory printables. The more hands you have helping you, the faster this task will go. Second, make a donation pile. This is for pantry food you find that isn’t open and isn’t expired but that your family no longer eats. Donating this food to a food pantry will help the less fortunate, and make space in your pantry for food you actually like! A win-win! Third, use this as an opportunity to organize. Part of what makes it so you “lose” food in your fridge/freezer/pantry is improper organization. Consider using bins, baskets, Lazy Susans, and other handy organizing tools to get your food storage in order. If you’re already using things like that, see if you can improve on them. For example, maybe you’re already using bins in your freezer, but they’re opaque, so you can’t see in them. Consider getting translucent ones, or put labels on the ones you have. 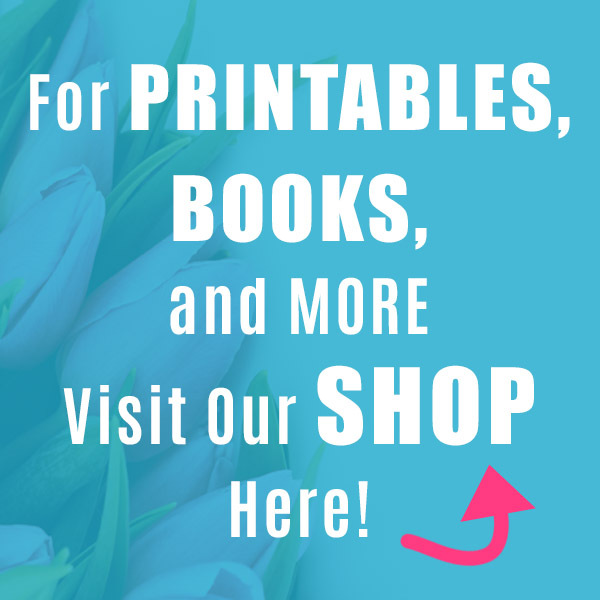 Finally, keep your finished inventory somewhere that you can easily find it when you need it later (like when you’re meal planning or making your grocery list). A home management binder is a good place, or you could even tack the finished pages on the fridge. 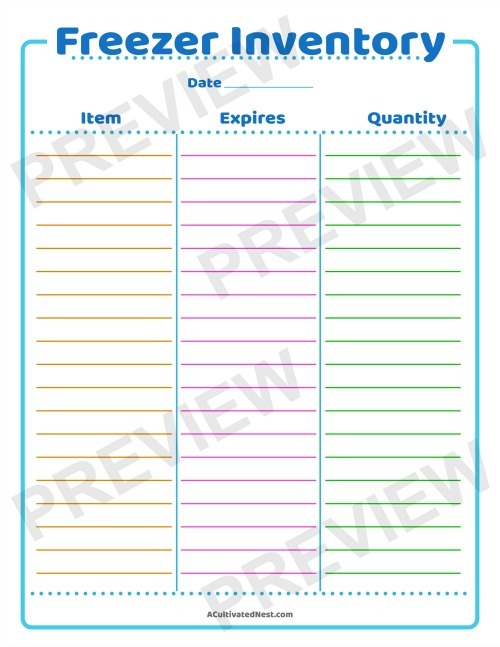 As promised, here are my free food inventory printables! 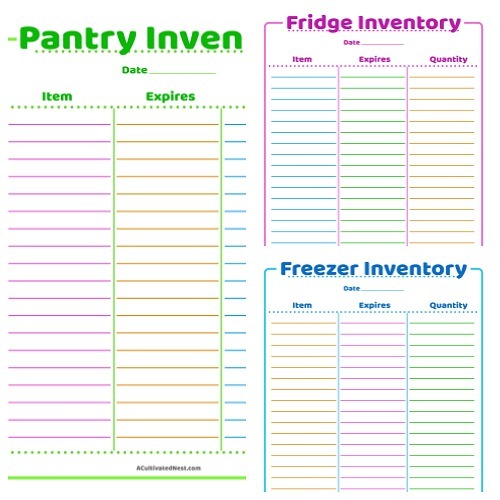 I have 3 printables- a fridge inventory, pantry inventory, and freezer inventory. Each has a place for you to write down the date of your inventory check, the food you have, when it expires, and how much of it you have. When did you last do a food inventory check?